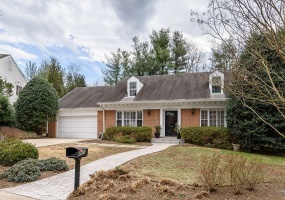 7500 Nevis Road, Bethesda, MD*SOLD - $1,510,000*This expansive custom build in located in a gorgeous secluded setting in Bannockburn. Nestled down a semi-private driveway, this 6-bedroom, 5 ½-bath brick home offers a variety of living and entertaining spaces. The sunny two-story foyer opens to formal living and dining rooms. 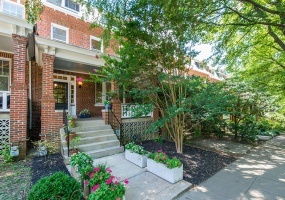 * SOLD - $1,425,000 *Welcome to this gorgeous four-level, six-bedroom, three-bath home with secured parking in Adams Morgan, steps from the National Zoo. SOLD - Park-side Oasis in the Heart of the City - Forest HillsThis four-bedroom, three-and-a-half bath detached home is nestled at the edge of Rock Creek Park in a little known cul-de-sac, offering a serene, private wooded setting while still close to the red line Metro and a short drive to downtown Washington, DC.All four levels of this property have been beautifully finished and updated. SOLD - $1,200,000 - Sumner, BethesdaConveniently located along the Massachusetts Avenue corridor in the sought-after neighborhood of Sumner, this expanded Cape Cod currently features three master bedrooms, all with private, en-suite baths. Over 4,000 square feet of living space provides large spacious rooms for entertaining. 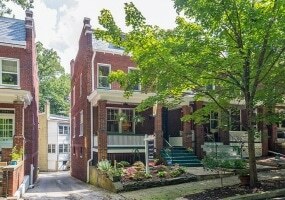 SOLD - $1,050,000 * Under contract in 5 days! *Welcome to this inviting and spacious end-unit on serene Rosemont Avenue in sought-after Mount Pleasant. 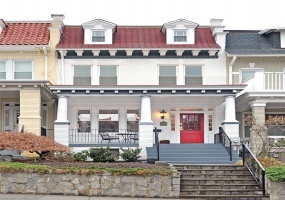 Adjacent to Rock Creek Park, this home has been thoughtfully updated over the years to add all the modern amenities while preserving the historic feel and 1920s charm. * SOLD - $1,150,000 * under contract in only 1 day! 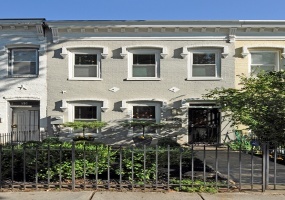 *2010 Klingle Road NW - Mount PleasantWelcome to this gracious, classic 1920s Wardman-style townhouse in popular Historic Mount Pleasant. 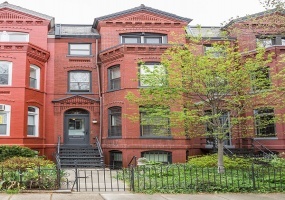 * SOLD with multiple offers in 5 days for $1,120,000 * Historic Dupont Circle Townhouse with Rental UnitWelcome to this 1885 historic townhouse with stucco and Spanish tile façade in the heart of NW Washington, set far back from the road with secured covered parking for one car. 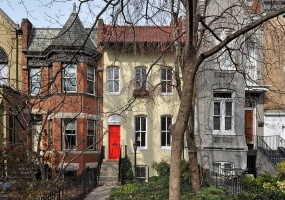 *SOLD - $899,000*Welcome to 1618 Florida Avenue NW in the heart of Dupont Circle, Adams Morgan, and the U Street Corridor. The spacious main house is ready for your personal touches and offers 3 ample bedrooms and 2 full baths up, inlaid hardwood floors in the living and dining areas, two wood-burning fireplaces, a main level half bath, and a table-space kitchen. 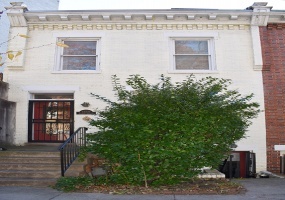 *SOLD - Multiple Offers*1533 Upshur Street, NW16th Street HeightsWelcome home to this three bedroom, three-and-a-half bath in 16th Street Heights, steps to 16th Street and minutes to Columbia Heights and Metro! This classic 1920s brick townhouse has a large covered front porch, deep rear garden with deck, and secured off-street parking. 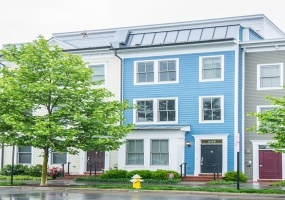 * SOLD - $815,000 *Welcome to this beautiful four-level townhome located in the EYA-developed Old Town Commons community just blocks from the Braddock Road metro and the heart of Old Town Alexandria. This three-bedroom home features a homeowner’s suite with bay window, walk-in closet, and spa bath, and two additional bedrooms with private baths. 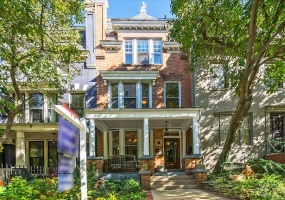 * SOLD with multiple offers *Sophisticated City LivingThis classic 1920s townhouse in popular Truxton Circle was completely renovated down to the bricks in 2013, including all systems, the roof, high-end fixtures, Brazilian cherry wood floors throughout, and four skylights. The main level open floor plan provides exceptional flow and space for entertaining.